We pay attention to the little details! We triple check every part of the engine build! We have the tools and equipment needed to do the job! We care about your engine project! Full service auto machine shop, domestic and foreign located in South Eastern Connecticut, USA. 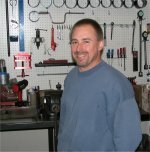 Larry's Auto Machine was established in 1961 by Larry Wilson, Through the years the machine shop has grown and expanded to keep ahead of the times. 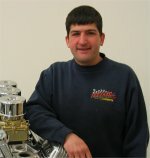 Over the years, Larry's has been building race winning engines with over 700 circle track wins. Offering all levels of engine building, from mild to 1150hp blown pump gas hemi. Now owned by Gary Espinosa, Larry's is set to move into a new state of the art building in Groton , CT. The new building will include everything from the DTS Dyno to a chassis Dyno. Between Gary, Steve, Tony and Ken , their combined machine shop experience total over 100 years. Making it possible to handle any and all machine shop projects. To build winning "restricted crate" race motors, we have to worry about the smallest detail to make that extra power needed to win. Because of this experience we find that every motor that we build we take the time to watch and correct the smallest details. Our new 7,500 square foot state of the art engine facility. Which is equipped with both computerized and CNC Machining Centers for achieving the exacting tolerances for all our customers from restoration, marine, performance to imports . 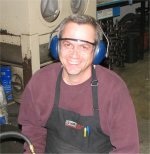 With over 100 years experience, our machinists are able to blue print, restore and rebuilt . Correcting everything from bore center spacing , deck heights and lifter bore locations. Increasing horse power and durability and overall engine performance.